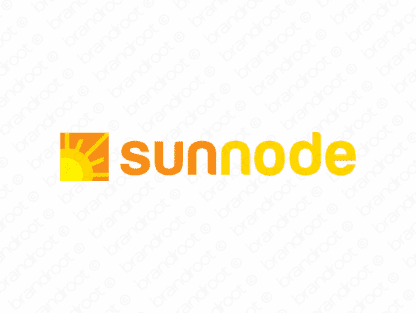 Brand sunnode is for sale on Brandroot.com! A snappy mix of "sun" and "node" that radiates with power and brightness. Sunnode is a bold and attractive brand with a technical character that works well for renewable energy companies and eco-friendly products. You will have full ownership and rights to Sunnode.com. One of our professional Brandroot representatives will contact you and walk you through the entire transfer process.